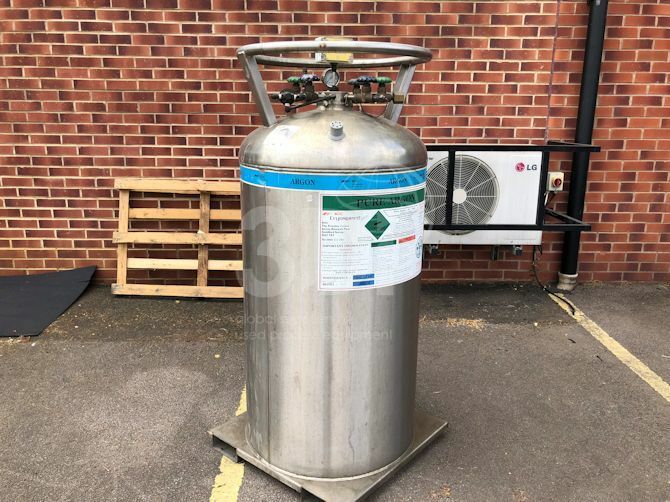 Used 230 Litre Cryogenic Storage Vessel, manufactured by Statebourne Cryogenics, 2009. Type Cryocyl 230. Material of construction: 304 stainless steel. Design data: design code PD5500-2000, design pressure 17 barg, design temperature -196/+50degC. Gross volume 242 Litre. Fork lift base. Previously used to store Argon.